The Glenn Beck Review: Can Glenn Beck know the future? On Beck’s May 3rd TV program on Fox News, he showed his viewers two books, written by Marxists, he claimed, which describe what is happening on the streets of Greece today (demonstrations and riots over government austerity) and, he argued, what our future holds. We are to believe that Beck is a prophet. 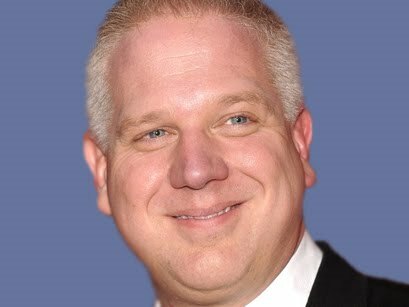 Can Glenn Beck really know the future? 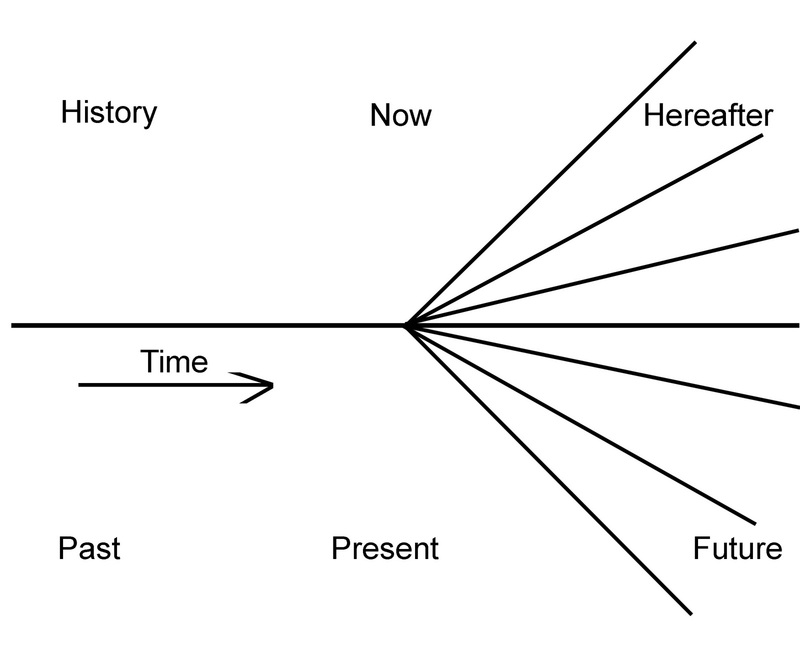 The past is a straight line in that there is only one actual series of parallel events even though historians can give us many different interpretations of our past. Thus, there are liberal, conservative, radical and reactionary interpretations of the past, just as there are liberal, conservative, radical and reactionary interpretations of current events. Every historian brings his or her values to the project of history. See the earlier post, “What is Glenn Beck Politically?“ for more details about how the four basic values are arranged. 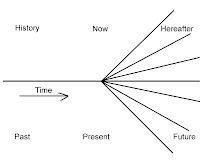 The future is generally thought of a something we plan for, hope for, strategize about, move in a different direction from the past and present line (or for conservatives not move in a different direction). The struggle with every bill before Congress is whether we want change or not, whether we want a lot of change, a little change or no change. The range of politically viable options is determined by public support and the leadership of the President, whomever that person is. The future is open to changes in direction but limited by the constraints of politics. How much change is possible is limited by the number of votes a bill or amendment to the bill can garner. The future is open to unexpected events such as the attacks of 9-11 or the explosion and sinking of the Gulf oil platform along with the consequent oil that is still spilling as this is being written. Life can take surprising and unpredictable turns. We can get an idea of what direction we’re going by having a good understanding of where we are which is likely the reasoning Beck uses to claim that riots in the streets are in the near future for America. Much of Beck’s concern for the future and his dire prediction regards the national debt of nearly $13 trillion and unfunded liabilities of about $107 trillion. If you actually click on the $13 trillion link, you’ll see a graph of our debt as a percentage of our Gross Domestic Product. Right now the debt is just under 80% of our GDP, but just after WWII the debt was just over 120% of the GDP. If that were Beck’s only concern, he could be challenged to take a look at history and grasp that the post war years witnessed unprecedented economic growth and prosperity in the country despite that huge debt. However, it’s the unfunded liabilities that are a concern. They are the difference between what will be collected in taxes based on current law and in Medicare premiums vs. what has been promised in law (legislation) in benefits for current and future retirees. Beck made a big demonstration during his show of 5/5/10 of what every tax payer would have to make based on extremely high tax rate of 70% if we were to pay for these liabilities in one year! That’s typical Beck deceiving his audience again. These unfunded liabilities stretch out for many years into the future when they will have to be either adjusted down (reduced benefits) or paid for with tax increases that will stretch out for decades or most likely both. The way master deceiver Beck explained it was sheer nonsense, useful for frightening his viewers, but not for anything else! Beck, the regressive reactionary, has made no secret of his view that government services for the elderly and poor in this country are a “cancer” that needs to be cut out of our (federal government’s) body, the Federal budget. What he doesn’t understand, and this is true of many conservatives and reactionaries, is that these programs were put in place not to ruin Capitalism or the free market, but to stabilize Capitalism and protect it politically from Socialist candidates who were gaining in popularity during the Great Depression. The welfare state isn’t Socialism as many–including Beck–charge; it’s the only way Capitalism can survive in a democratic order! The charge of “socialist” or “Marxist” Beck tosses at anyone to the left of center (and even the center in some cases) is patently absurd. Sometimes he’s right, but often he’s earning his moniker, fear-monger-in-chief. The leftward direction of the near future is certainly going to be different under the Obama Administration than the rightward direction would have been under a McCain Administration, and that is the nature of political choice. We do have more debt now because this Administration is using the true and tried strategy of deficit spending to serve as an employment bridge to get us back on track to economic growth and prosperity. It's actually Overton's Window that illustrates how public support for change, progressive or regressive, decides the direction the Republic moves into the future. Real conservatives generally want to move along a straight line, continuing along the path that we're on, the path in the same direction. The debt and the unfunded liabilities are only going to explode and cause the economy to tank again if they are not dealt with after the recession. Beck’s solution to this, which he offered on his 5/5/10show, is to–I’m not making this up–cut taxes (what?!?) and slash government spending (of course). That would not only make the deficits bigger (less income) but make his prediction that there will be massive protests and rioting on the streets across America come to fruition quickly. In fact, that’s the problem with his regressive agenda altogether; progressive programs have become very popular. People can get hoodwinked into this kind of false nostalgia to get many candidates elected who would then lead us backward, but not enough will (to make a difference) unless Beck can reach a wider audience and become more influential. Beck likes to bemoan the crisis mentality of people in power as a means of dealing with issues. Then he turns around within the hour of one show and uses the very same tactic to paint false crisis of a ticking debt bomb that will destroy us if we don’t begin to reverse 100 years of progressive legislation and spending soon. He does not seem to comprehend or acknowledge that complete double standard, but that’s typical Beck. He doesn’t seem to comprehend much of anything in an accurate or deep manner, but he sure conveys his shallow grasp of reality, his poor models and his turning around of reality (both words and facts) in an extremely convincing manner. That’s partly what makes Beck both a con man and a scourge on the national policy debate. His supporters actually believe him. Beck doesn’t know the future. Nobody can know the future with certainty. Even having a pretty good idea of what direction we’re heading requires a deep and comprehensive grasp of the past and present, something Beck’s reactionary bias, untrained (by higher education) mind and Attention Deficit Disorder does not allow for. You start by what seems to be your favorite Beck episode of may 3rd. You continually reference this as I think you might have watched maybe one week of Beck. You go on to denigrate Beck’s OPINIONS of the future but he has a pretty good track record. He said we are headed for a bubble in the housing market nearly two years before it happened. He actually prior to 9/11 said these guys are serious and we should take them seriously. His latest has been that retail mortgages will fail at drastic rates. Lets all watch this happen. As for the national debt clock, this was put in place to defeat Bush Sr.
Maybe you don’t remember that. But that’s when I first saw it on the national media. It went away under Clinton and he by some kind of magic came up with a budget surplus. It’s a shame that the numbers were skewed and he left the further meltdown for a future administration. Bush W. comes into office, and suddenly everyone is concerned about the national debt. Now that Beck is bringing it up, he is a fear monger. You are the hypocrite sir. The, Debt Clock was set up by liberals for liberals and their agenda. Now that it doesn’t suit their agenda they want to make it sound silly and self-fulfilling. You can’t have it both ways. Beck isn’t making these numbers up; he is simply repeating what the debt clock says. Beck made a big demonstration during his show of 5/5/10 of what every tax payer would have to make based on extremely high tax rate of 70% if we were to pay for these liabilities in one year! This is garbage, as he never said that. I will say again if he actually said that it would be all over your favorite blogs and such. Oops it actually is even though he never said it. He said that this is the current responsibility for every American. Not in the next year or the year after that, but right now. News flash, a 70% tax rate on the planet could not pay for this debt in one year! Does any and every Federal Government program take something away from your liberties as an American citizen? The answer to that question speaks volumes about who you are and what you believe. My daddy taught me that. Maybe yours didn’t ask or care. I have the same answer when it comes to Health Care reform, Financial reform, or TARP. I’m starting to think, (The more that I read this that you are the one with the problem and not Beck) that you need to “Progress” beyond what you have been taught by other and move onto what you have learned yourself. Brad said..."As for the national debt clock, this was put in place to defeat Bush Sr. Maybe you don’t remember that. But that’s when I first saw it on the national media. It went away under Clinton and he by some kind of magic came up with a budget surplus." This is a laughable assertion. YOu first noticed something, so that's when it began. OOOoooooKay. To answer your question, no. Every program does not take away my liberties. You are aware that the national security programs are supposed to protect our liberties, right? That was too easy. Let's pick another domestic program: food stamps. Tell my how making sure that poor people have the freedom to eat without having to resort to some kind of robbery is taking away my freedom. I'm interested to hear you explain how regulating Wall Street is an impingement on MY freedom. I'm interested to hear how making sure the insurance companies can't screw me and drop coverage if I should get very sick - in an expensive way - impinges on MY freedom. Yep, they are not allowed any longer to SCREW their customers. That's a freedom that never should have evolved, but that's the nature of unregulated capitalism. It's interesting that cite something "your daddy taught" you. He raised you to become a certain kind of political animal (that's not an insult; I'm a political animal), and apparently he did a damn good job at it. One thing college does to many people is broaden young people's minds to better understand our world. I'm guessing that you never attended a political theory class in your life. You need to ask yourself: why are you defending the honor of a liar, a hypocrite and a charlatan? Brad said..."As for the national debt clock, this was put in place to defeat Bush Sr....It went away under Clinton"
So I did a little digging. I e-mailed Ed Hall who has a debt clock web site. Guess what? Hall started his clock in 1995, during the Clinton Administration. Brad, next time do a little research. The world is not just what you, with your selective perception, remember.